Shivinder Singh says he decided to withdraw the case after "repeated urging" by his mother. He also says his decision to disassociate from his brother, and tread an independent path, stands. Shivinder Singh has said that withdrawal of the petition against his brother Malvinder does not mean they will do business together in future. "To ally justifiable skepticism, let me be clear: the decision to disassociate from my brother and tread an independent path stands," Shivinder said in a statement confirming the National Company Law Tribunal (NCLT) had accepted his request to withdraw the petition of "oppression and mismanagement" against his brother Malvinder and former CEO of Religare, Sunil Godhwani. Shivinder Singh said he decided to withdraw the case after "repeated urging" by his mother and family to "participate in mediation as a final attempt to resolve amicably the inter se issues". The youngest brother of the Singh family, Shivinder Singh, said the decision to file the case was made with a very heavy heart and after careful deliberation. "The decision to withdraw was weighed equally seriously. I did so because my primary goal remains to address and resolve the group's issues through constructive and transparent engagement with Daiichi Sankyo and our other creditors. It is clear that my brother and I cannot do so together. To that end, I intend to use the mediation process to get to a critical decision. Namely, whether my brother or I take full responsibility for resolving the group's issues with Daiichi Sankyo and other lenders," Shivinder said in his withdrawal application. Shivinder also said if mediation fails, he "intend to reassess and start a fresh action" if that is what it takes to address all issues related to his companies. In his petition before the NCLT on September 4, Shivinder, his wife Aditi and his holding company Shivi Holdings had alleged Malvinder, group holding firm RHC Holding, and Godhwani were responsible for systematic undermining of the interests of their companies and their shareholders. He said that he couldn't be a party to activities in which transparency and ethics were continuously and consistently negated. "It has come to a point where this means that I am now disassociating from my brother as a business partner and will be pursuing an independent path going forward," said Shivinder. 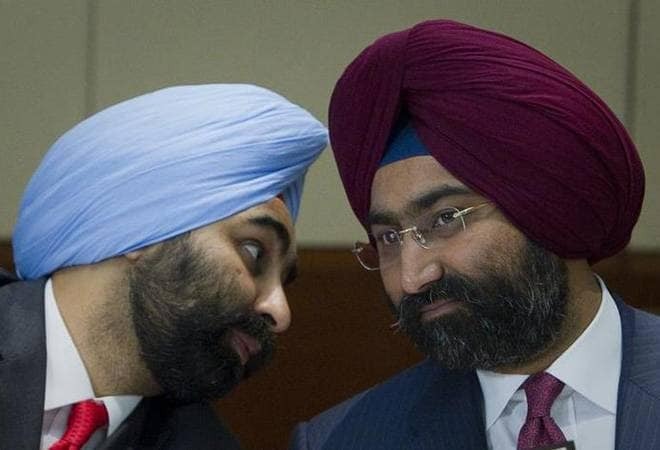 The Singh brothers, Malvinder and Shivinder, have been at the centre of one of the biggest corporate turmoils after they squandered Rs 22,500 crore in less than a decade. The two brothers were loaded with Rs 9,576 crore in cash in 2008 after selling India's largest pharmaceutical firm Ranbaxy Laboratories to Japan's Daiichi Sankyo. Just 8 years later, in 2016, they were in debt of Rs 13,000 crore.